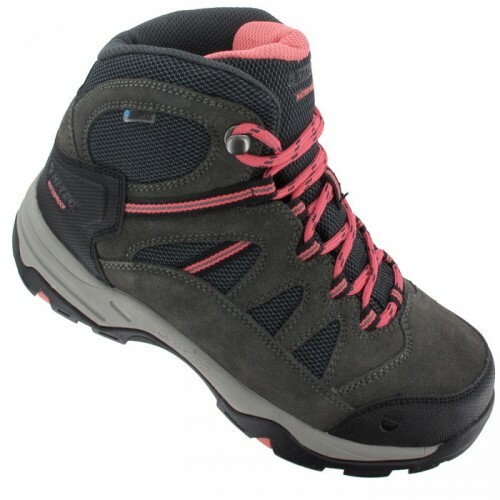 Waterproof & breathable, versatile lacing system and removable moulded EVA footbed. 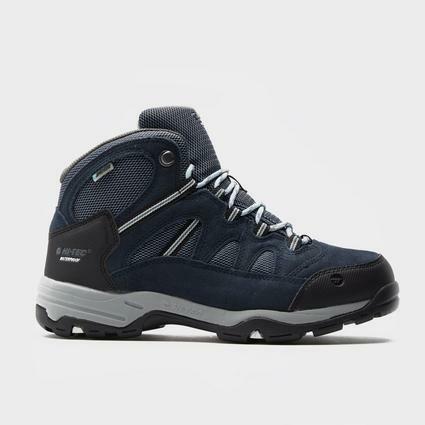 As temperatures drop and precipitation rises, get out and about in the Hi-Tec Bandera Mid II Waterproof boot. This boot features a high quality waterproof suede and high performance fabric upper for durability and is fully lined with our Dri-Tec waterproof membrane to keep your feet dry. A padded color provides additional comfort. The rustproof metal hardware withstands any conditions while the ghillie lacing system provides a custom and secure fit. The contoured footbed provides underfoot support and can be removed and replaced with a personal orthotic as needed. 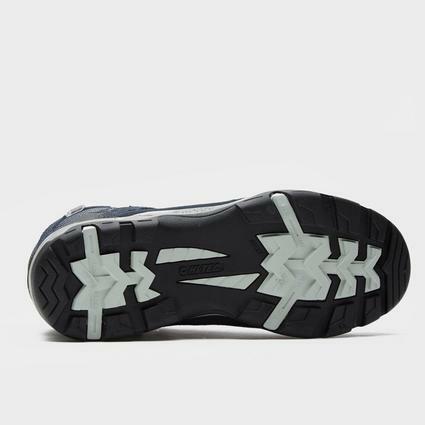 Underfoot, a cushioning EVA midsole absorbs impact and reduces strain on the body while the steel shank keeps you stable on the trail. 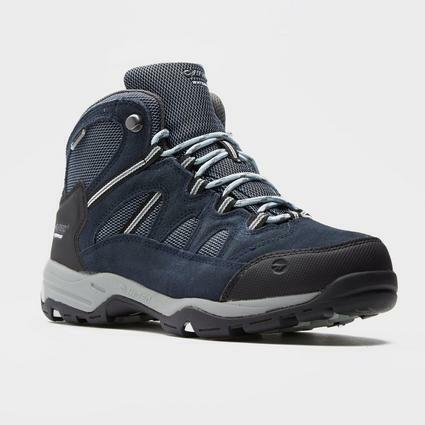 This boot is finished with a Multi-Directional Traction (MDT) rugged rubber outsole for grip on any terrain. Anti-Odor Microbial, Anti-Odor Sockliner, EVA Midsole, Lightweight Build, Multi-Directional, Rustproof Hardware, Water and Stain Resistant, Waterproof.